DRIVEN. 2017 Bentley Mulsanne Speed, followed by a farewell. Most notable though is the throttle response, which feels immediately sharper, more energetic and on the brink of alarming, the V8 never dropping below 2000rpm to ensure whippet-levels of response when I depress the throttle. I feel relieved that there’s a consant communicative feel to the gigantic brakes. It’s as I point the enormous bonnet towards our camera car for some motion shots through a nearby underpass, however – hang on, didn’t we shoot the new Range Rover through here a few years ago? – that the scepticism returns. In Sport for instance, though the ride is still stunning, there’s a VERY faint hint of road roar now permeating through the 21in run-flats. 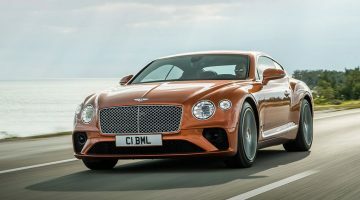 Even in the optimised ‘Bentley’ driving mode, which offers what the company believes to be a perfect balance between comfort and sportiness, the focus is still too sharply aimed towards the latter. The engine note is muted by a crap-load of sound insulation and you’d struggle to find comfort like this outside of an armchair stuffed with marshmallow. 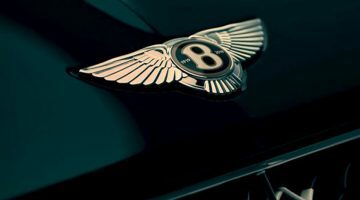 But still, to sacrifice comfort for sportiness in a Bentley Mulsanne, even the most powerful version yet? Disappointing. Had the drive knocked my Paul Smith socks off, there’d be no cause for complaint. And in fairness, for its sheer size, the Mulsanne Speed does a superb job. Off the throttle, the chassis pivots mid-corner with well-placed accuracy thanks to a well-thought out weight distribution. The tyres dig with remarkable ferocity into the tarmac, and the sharper rear suspension feels a note more playful than an ordinary Mulsanne without feeling unduly wild or unyielding. There’s even enough steering feel to accurately place and adjust the car mid-corner. It’s all looking very positive. The truth is though, even with a car as good as this, physics prevents the Mulsanne Speed from being a truly great driver’s car, despite that formidable V8 thrust. The steering, despite offering reasonable feedback, masks this with just enough power-assistance to make the helm occasionally inconsistent: step on the throttle out of a tight corner and you’ll need a beat for the steering to catch up. 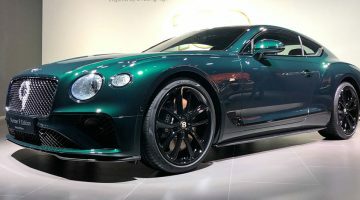 And while Bentley’s finest have worked wonders with the chassis, there’s still too much lean and roll through the corners, the result of three tonnes of leather and varnished wood sloshing from side-to-side under weight-transfer. To truly thread the nose through the tight and twisting corners will require a certain amount of elbow grease and not a little amount of bravery, something I question whether future owners are really looking for in their near-half mill luxury limousines, given the opulence and unparalleled luxury the ‘standard’ Mulsanne itself already has to offer. Some may wonder, even with that phenomenal V8 acceleration, whether it’s truly worth the extra $55K. For me though, I’ve little reason to complain. We’re just cruising through the tunnel for a fifth time – Mohamed is keen to get his shots right – and the orange-hewn sun is beginning to gain the season’s traditional mid-day pallor. Soon the light will be next to useless. I should feel bittersweet that my last regional test drive is coming to an end, but the truth is I’m not. Yes, my brain keeps slipping back to that day at Yas in 2012, when, naively, part of me truly believed my first test drive would be like my last. Piloting a Bentley Mulsanne Speed through the heart of Dubai shortly after sun-up after just over an hour in bed is quite a change in pace, but is certainly not a poor one. Previous ArticleWrench. The VR videogame you and your kids need to be playing. Next Article Decision is made, the VW I.D. Buzz is coming 2022.